There are plenty of other benefits to the combination. Amazon will derive steady revenue from more than 460 Whole Foods stores. But ultimately, Amazon wants to sell even more goods and services to both online and offline shoppers. Why is Amazon spending nearly $14 billion for Whole Foods? One reason: People who buy yoga mats and fitness trackers on Amazon might also like grapes, nuts and other healthy items at the organic grocery chain. In short, the deal stands to net Amazon a wealth of data-driven insights into how shoppers behave offline – insights that are potentially very lucrative. To be sure, there are plenty of other benefits to the combination. Amazon will derive steady revenue from more than 460 Whole Foods stores; it can also introduce robots and other automation technologies to cut costs and improve the bottom line. But ultimately, Amazon wants to sell even more goods and services to both online and offline shoppers – including stuff they might not even realize they need. Amazon is a pro at using data on past shopping and browsing to prod you to buy more. The home page, for instance, offers quick access to recently viewed items and suggests products “inspired by your shopping trends.” Amazon sends emails about price cuts on items you’ve searched for but haven’t bought – yet. Brian Handly, CEO of the mobile analytics firm Reveal Mobile in Raleigh, North Carolina, said that while Amazon doesn’t necessarily have better artificial-intelligence capabilities than its rivals, it has scale in the number of shoppers and variety of businesses it has. 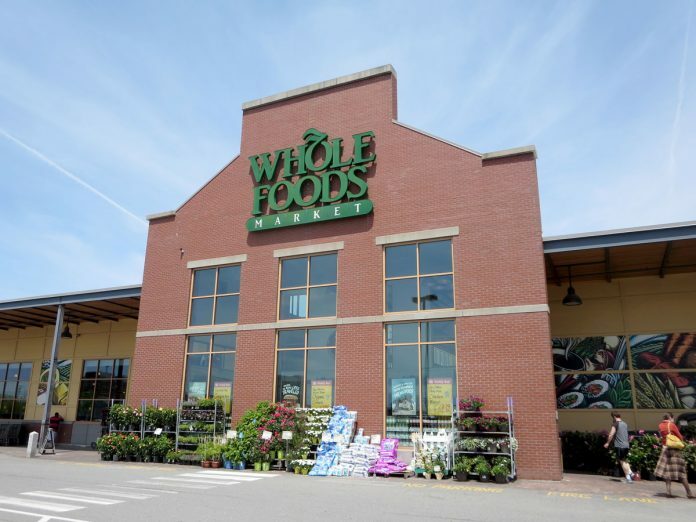 Whole Foods can help by giving Amazon a better understanding of what people do at physical retail stores, where 90 percent of worldwide retail spending still happens, according to eMarketer. Amazon could learn whether a particular customer tends to come once a month to stock up, or make smaller and shorter visits more frequently. Wi-Fi hotspots in stores might collect unique signals emanating from smartphones to figure out which aisles customers spend the most time in. Same with sensors on product shelves, something Amazon is currently testing at a convenience store in Seattle. “They will break that data down to build stories about their consumers,” Misso said. All this might feel creepy, but it’s something Amazon already does and does well online. Larry Ponemon, who runs the Ponemon Institute privacy think tank, said he personally would find tracking of his self-described unhealthy eating habits “very creepy.” But he doesn’t expect any consumer backlash because Amazon and Whole Foods have both earned a high level of trust and loyalty. To make stores more profitable, Amazon could push customers to order lower-profit bulk items such as detergent and toilet paper over the internet. That would free up store space for higher-profit items, such as perishables and ready-to-heat prepared meals. Amazon’s challenge will be to “separate the profitable businesses that can be better done online and the profitable businesses that can be better done at retail,” said Larry Light, CEO of the brand consulting firm Arcature in Delray Beach, Florida. Amazon might find that some items sell better at some locations than others. It can stock just the most popular items at each location; other items are just a click away for home delivery. It’s an approach Amazon is already taking at its eight physical bookstores. Handly said that even if Amazon can’t get rid of every lower-profit item on shelves, it can use data to figure out ways to drive more customers to those aisles. Amazon will be able to use grocery data to drive other purchases as well. Say you buy a lot of ingredients typically found in Asian recipes. Amazon might then suggest a Thai or Japanese cookbook. It might also recommend a new rice cooker. It works the other way, too. If you just watched a Mexican food show on Amazon video, Amazon might point you to deals on avocados and perhaps offer subscriptions for regular deliveries of tortillas and canned beans. Or it might automate a grocery shopping list based on a chosen recipe on your Kindle e-reader. Just bought some camping equipment? Amazon might offer granola bars and other ready-to-eat meals for your hikes. Likewise, someone who just bought a fitness tracker might be in the market for more produce. Walmart remains the leading retailer overall and has its own huge stake in groceries; its retail revenue is more than three times that of Amazon, even with Whole Foods included. Yet it’s on the defensive. To beef up its online operations, Walmart has gone on a spending spree for e-commerce companies such as Jet, Bonobos, ModCloth and Moosejaw. Analysts say these companies should help Walmart get into the data game as well. “The real challenge of Walmart is they recognize that technology can be bought and technical expertise can be bought,” Light said. What Amazon Wants from Whole Food: Data on Shopping Habits. The deal stands to net Amazon a wealth of data-driven insights into how shoppers behave offline.